If you realise, this is my first time writting about beauty product. I don't have a good skin, I admit. So I always try out something new, hopefully it can cure all my problems. You might be saying, since I try so many products, I should do review on that. Yes, you are right. I never do any review (Not because I am selfish) but I never find a good product that it is worth to mention about. This time, specially thanks to Hada Labo for sponsoring me Hada Labo 3-in-1 Ultra Hydrating Perfect Gel. (It is still new to the market!) When I first receive the product, I was like "WAH! Ultra Hydrating!" I MUST TRY! Collagen (My eyes got widen when I saw this word "COLLAGEN") - replenishes skin nutrient and refine skin for healthy radiant skin Say Yes to FIRM, ELASTIC AND WRINKLE-FREE SKIN! 1. Hyaluronic Acid is able to hold 6l of water per gram, providing intense moisture to the skin when applied. 2. Super Hyaluronic Acid is able to hold 2X as much water than Hyaluronic Acid per gram, providing maximum moisturization. 3. 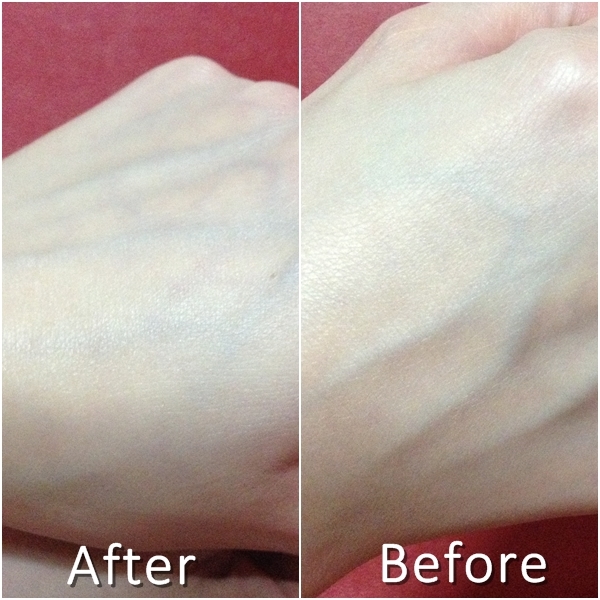 Nano Hyaluronic Acid is able to penetrate deep into the skin, providing long lasting and deep moisture to the skin. Ceramide - continuously penetrates moisture into the skin to deeply hydrate and repair dehydrated skin. It save me a lot of time and I have sleep earlier! YAY! Sleep is very important to us, specially the girls. Do you know that there are a lot happening with your skin when you are sleeping? A good night's rest can increase the special growth hormones that repair and regenerate collagen-producing cells. Therefore, you can improvise your skin while you are sleeping with the help of Hada Labo 3-in-1 Ultra Hydrating Perfect Gel. Even better right? Okay. Let's get things started. The perfect gel has a white cream texture. Thick with no fragrance smell at all. What I love about this product is that the gel is non-sticky and non-oily. I hate applying products that made my skin sticky. This is not, perhaps because it is also a sleeping mask? It pentrates into my hand after I message for a while. After that, my skin feels so smooth and QQ. Me like! As you can see from the Before and After, you can see the my skin looks so much smoother and more hydrated. My "before" picture looks rather rough uh? LOL. I tried it on my face and I love every mornings I woke up with a babyskin-like feel. (YES, it is suitable for daily use!) Damn good! If you were to ask me if I will buy it again, I will say YES. Not because they have sponsored me this and I have to say something good about them. No, because I truly see the effect in my skin after a few days of using. Why don't you tell me your review after getting them? Oh, you can get them from Watson's at $35.90. Not to mention, this product has won the hearts of lots of women in Japan and it is currently the number 1 sales in "All-in-One" gel product in Japan! Your job seems to be very tough and busy. Why do you not want to join MNC where they offer higher pay and not so demanding job. Just curious though. :) Wanted to know your reason of staying in a SME. Like what is good about SME? I heard ppl saying that their pay is low and long working hours. Is it true? Correct me if i'm wrong k?Thanks for your info!